IGOR BARATOFF AND MARCELA MAYORGA are the founders of OUR HANDS. Our products reflect the love of healthy, artisanal foods and the taste of fresh fruit. We were born in Godoy Cruz Province of Mendoza Argentina, with a small production of Tomatoes Peritas in halves that our clients loved !. We expanded our establishment by creating and expanding our line of products using always raw material of excellent quality. 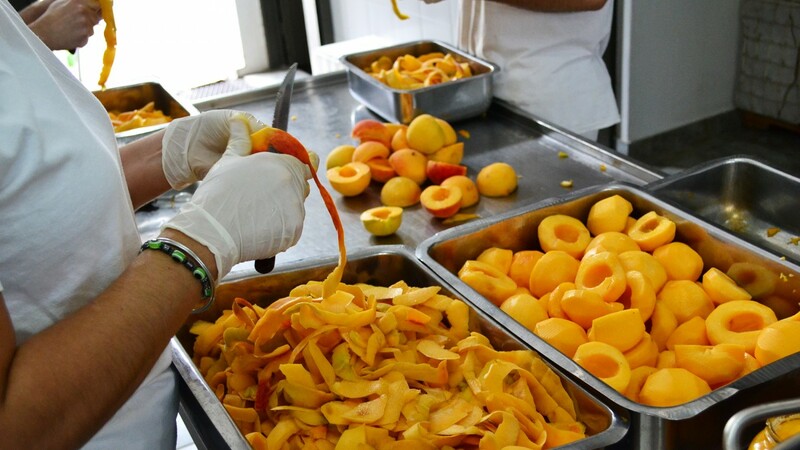 For more than 15 years we have been elaborating by hand, without preservatives, Organic Peaches in Syrup, Perita Tomato Pulp with Garlic and Basil, Organic Marmalade in Damascus. Marmalades of: Strawberry, Raspberry, Blueberry, Apple, Peach, Plum, Pear, Figs and Tomato using selected fruits of the Mendocine oases. Fulfilling the demands of our customers and with the mission of providing food with higher quality, we have made quality certifications for our Establishment. BPM - BRC - KOSHER - GLUTEN FREE - ORGANIC.